Perfect for those who prefer to stay warm and comfortable as the weather changes, fleece is the perfect lightweight fabric to layer on. Fleece jackets are soft and durable and can act as trendy outer layers for those who crave full coverage and comfort. The Sun & Sand Sports range of fleece clothing is the perfect apparel for changing environments. Designed to help you move around freely during, before or after your workouts, fleece clothing is extremely trendy and fashionable. Browse through our collection of fleece vests, fleece jackets and other fleece clothing and enjoy a seamless shopping experience from the comfort of your home. Invest today in soft, durable fleece clothing as this style never goes out of fashion. Worn alone or layered, a fleece jacket will keep you warm when you need maximum warmth with its Dri-FIT fabric technologies. Made from polyester synthetic wool such as Polar Fleece, a fleece jacket will provide thermal insulation and it is made from long-lasting synthetic fibers that trap air and keep you warm. 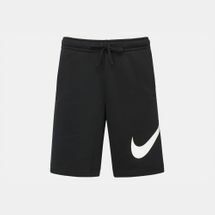 The Sun & Sand Sports online store offers a great range of men’s and women’s fleece clothing in different weights and varied technologies to suit your level of activity. 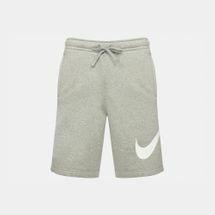 Available in a wide variety of colours and styles like zip-up jackets or sweat shirt styles, our collection comes from highly appreciated labels in the sporting world like Nike, Columbia, The North Face and more. Versatile enough for cold-weather activities, fleece clothing can be worn as outer layers or under big jackets to tackle the cold, blistery winter. Browse through our latest styles of fleece clothing on you laptop, tablet or mobile phone and order your favourite styles online today. Enjoy or door-to-door delivery in Dubai, Abu Dhabi and all over UAE.